This is a little late - as usual these days! - but on June 5th my baby girl turned 21 months old. I'm trying not to think about her impending second birthday because then I'll have to admit that I no longer have a baby in the house! This month I really feel like E has learned so much. She never stops talking. I couldn't even tell you how many words she has picked up in such a short time. She has a few phrases that she always says, "Don't like it" - that one comes when she doesn't want to eat something, "Where's C/Daddy/Mummy/Granda?" and I've found that she can actually pick up any item in my house and tell me what it is. It's so strange considering her big brother didn't speak a lot at this age. She is a lot more independent too. I think that's a girl thing! I recently purchased a slide for the kids and E will just climb up the steps by herself, pull her legs under to sit down and slide down on her own. When we go to the park she climbs on everything and she is just so fearless. E is still my little Velcro baby and always asks me "Up?" She constantly has her arms around my neck and gives me cuddles and kisses. It's super cute but sometimes I can barely get anything done as she's glued to my legs. We've started taking her out walking more rather than being in her buggy. She holds my hand and her brother's hand tightly and always says, "I'm walking!" like she's really chuffed with herself. I cannot wait to be buggy free but as we don't drive, I don't think it'll be for a wee while yet. She can be quite girly. For example, she absolutely adores shoes and bows but can be tomboyish too. She loves cars and dinosaurs. 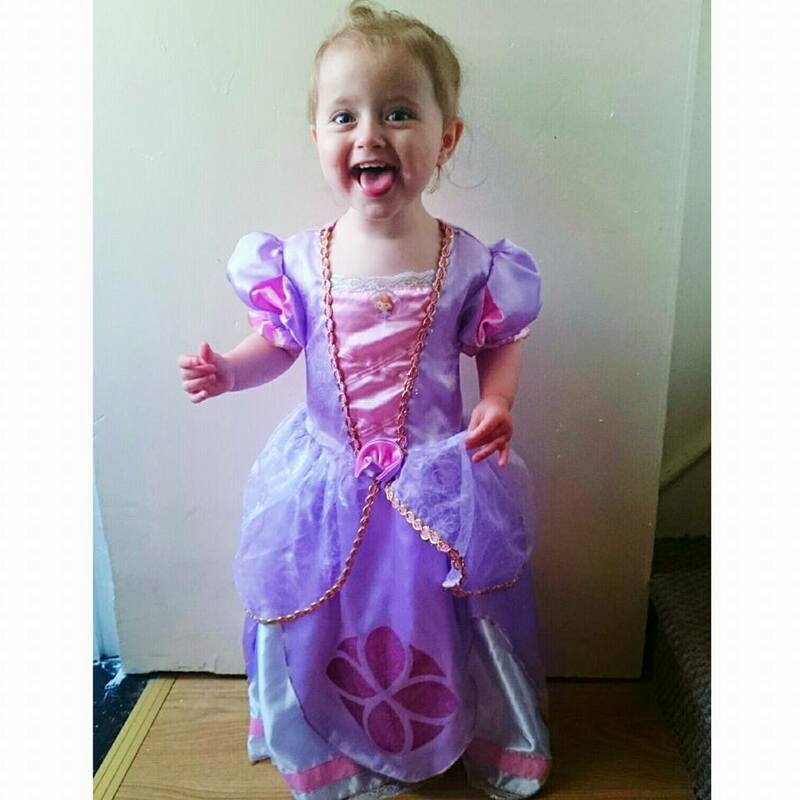 Dressing up is one of her new favourite things to do too - especially as princesses. I love watching her interact with her brother and just seeing her little personality. She can be quite bad tempered and will have a psycho if we annoy her or make her do something she doesn't want to do. Her current favourite TV shows are Team Umizoomi and pretty much anything on CBeebies and Tiny Pop. She has recently gotten into the Toot Toot Drivers sets so they'll definitely be on the birthday list. Film-wise, she still loves Frozen but since discovering Finding Nemo, it's not been on much! I better get birthday buying now! Any ideas for a two year old girl! ?